The distinction may seem like a strange one. Until you realise that being fast to Davies is less about how quickly you can go in a straight line – after all, there are any number of companies out there who can plug your van into a computer and massage a few extra horsepower out of the ECU – and more about the speed you can carry through the corners. 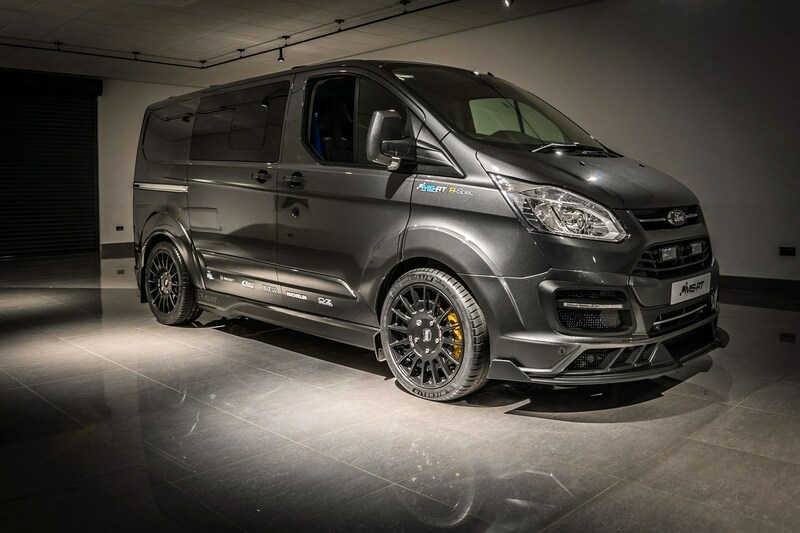 What is the Ford Transit Custom MS-RT R-Spec? 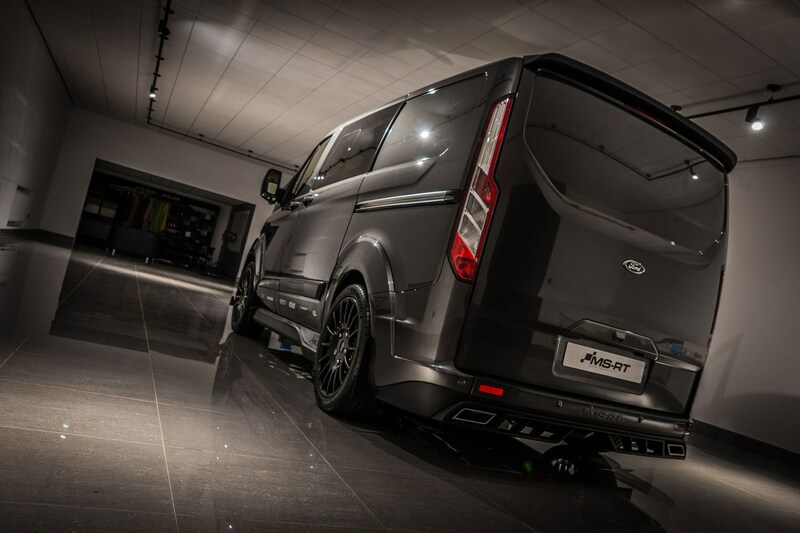 The R-Spec is a special edition, celebrating the second anniversary of Van-Sport’s association with British motorsport firm M-Sport. A collaboration that’s turned the mad-sounding idea of building rally-car influenced Transits into a successful business that’s already established a considerable enthusiast following. 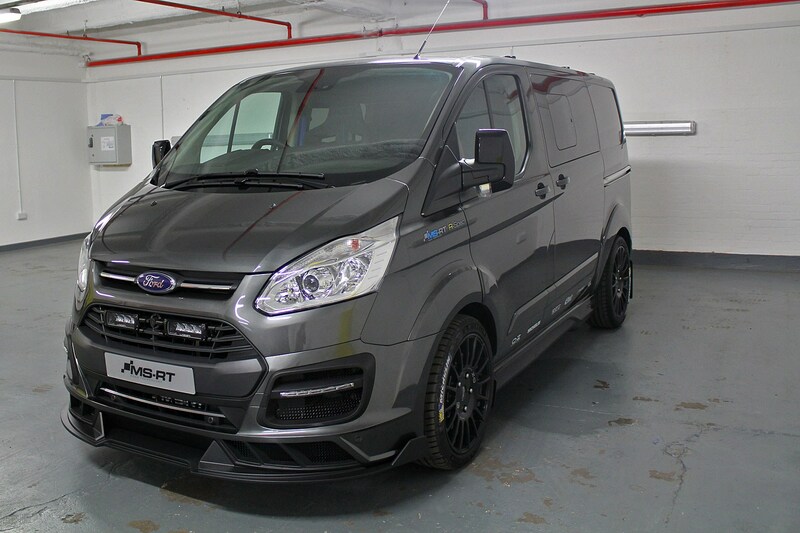 Based on the existing Transit Custom MS-RT – itself a successor to the Transit Custom M-Sport – the R-Spec is limited to just 50 examples, and retails at the heady-looking basic price of £35,995 plus VAT. But as ever with Van-Sport, while that may appear expensive on paper, in the metal it’s hard to dispute that buyers will be getting value for their money. 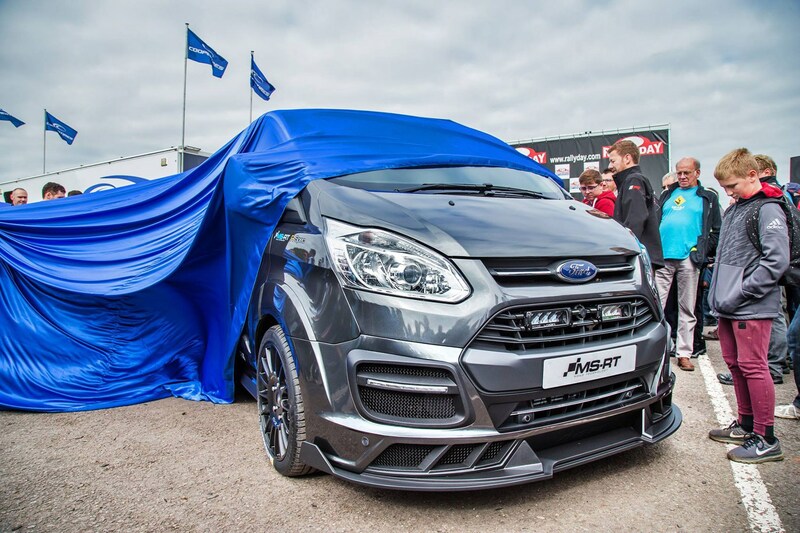 What’s new for the Transit Custom R-Spec, then? 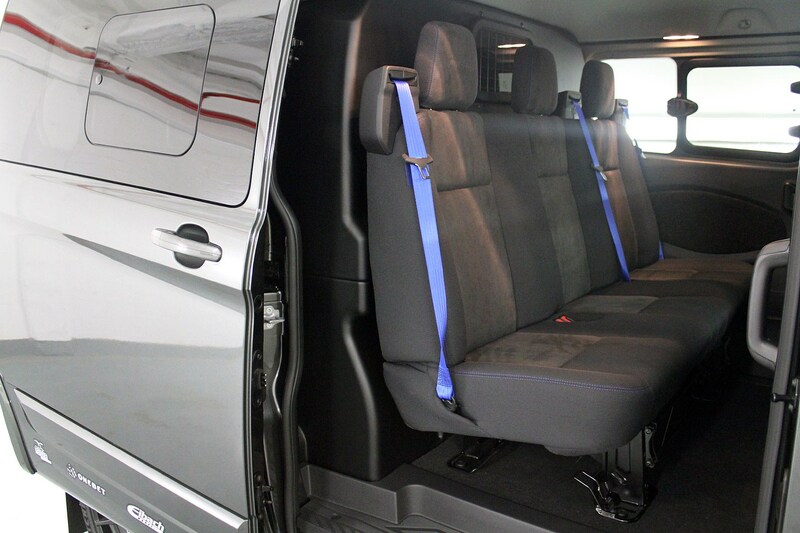 As with other MS-RTs, it starts life as a five-seater Transit Custom Double Cab-in-Van (DCiV) Limited – specced-up with twin sliding side doors, metallic paint, sat-nav, reversing camera, LED load area lighting and power converter. Visually, the R-Spec then adds the ‘extreme’ front splitter as standard and an exclusive grille incorporating Lazer LED driving lights, on top of the usual MS-RT bodykit comprising bespoke front and rear bumpers, side skirts, wheelarch extensions and roof spoiler. 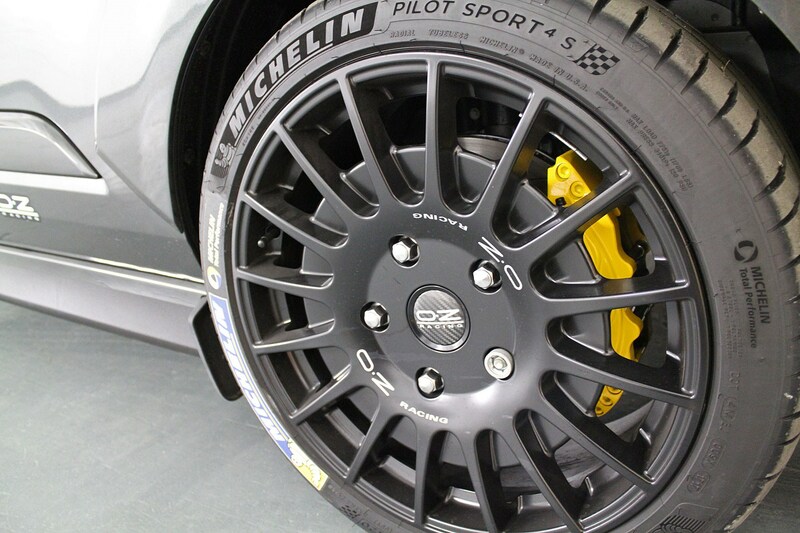 Most buyers are also expected to spend an extra £500 on the 20-inch OZ Racing alloy wheels, as fitted here. ‘They just fill the arches better than the regular 18-inch alloys,’ Van-Sport development director Joe Pace explains with a grin. 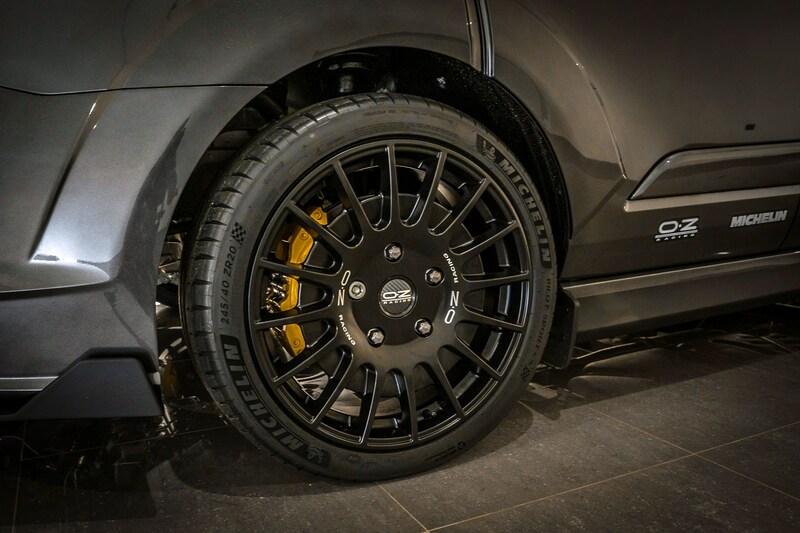 At the front, the wheels are complemented by MS-RT’s recently introduced big brake kit – an upgrade to 365mm vented and grooved discs, six-piston calipers and braided hoses, which costs £1,500 alone on other models. At the rear, the Eibach lowering springs Van-Sport usually fits are replaced by new Reiger items, completely eliminating the nose-down look the Transit Custom typically suffers from. 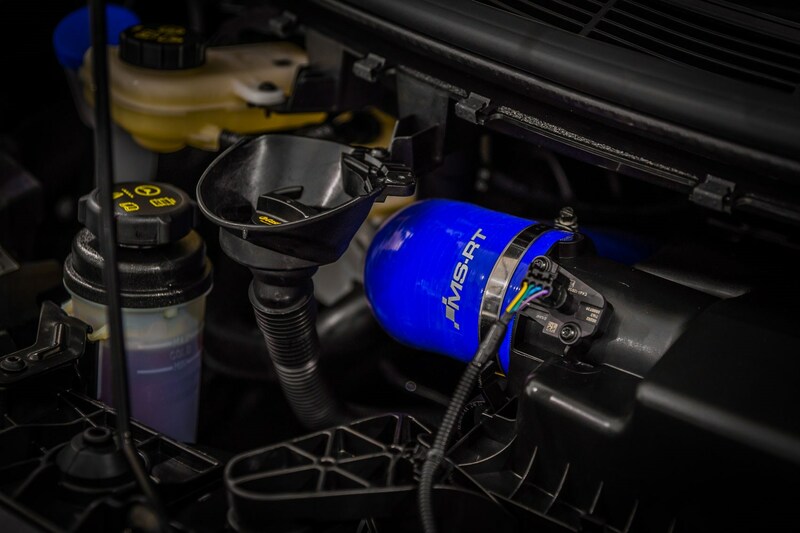 Under the bonnet you’ll find MS-RT hoses and air filter, while lower down behind the front bumper lurks a new intercooler, ready to support the 208hp power upgrade – which remains optional, alongside new high-performance Reiger rear shock absorbers. Both of these extras are fitted to this vehicle, and we’ll come back to them below. The final standard feature obvious on the outside of the R-Spec is the ‘exhaust box’. Again, we’ll come back to this – it’s worth the wait. 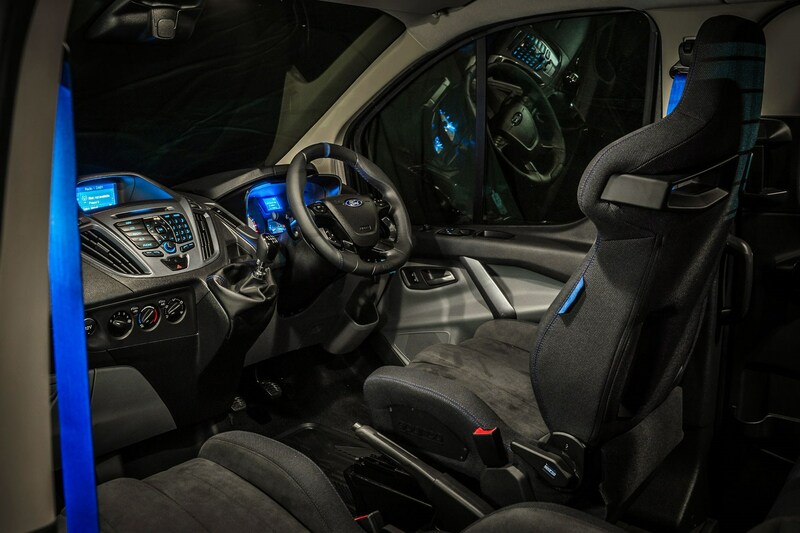 Is there anything special about the Transit Custom R-Spec interior? Crikey, yes. Open the driver’s door – noting the colour-coded lock upgrade – and it’s not leather upholstery that greets you but a suede-like material similar to the stuff you’d find in a rally car. 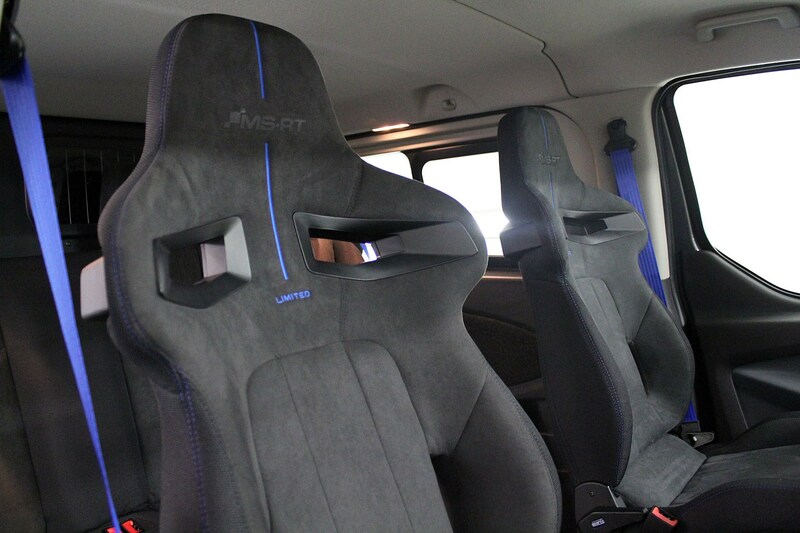 Better yet, there are full-on Sparco bucket seats in the front. 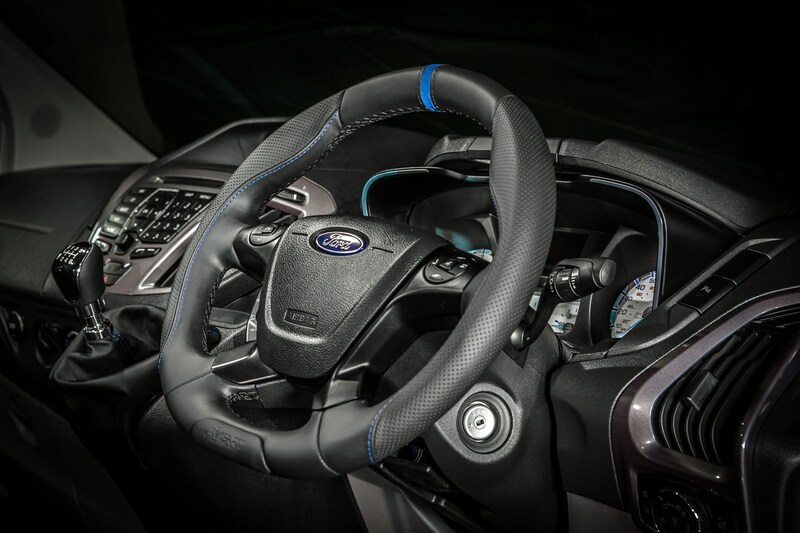 Not to mention blue seatbelts all-round, matching the blue stitching and the blue 12-o’clock marker on the steering wheel – another rally-inspired styling cue. Lower dash panels and door-card inserts that would usually be beige have been replaced with classier grey items, too. 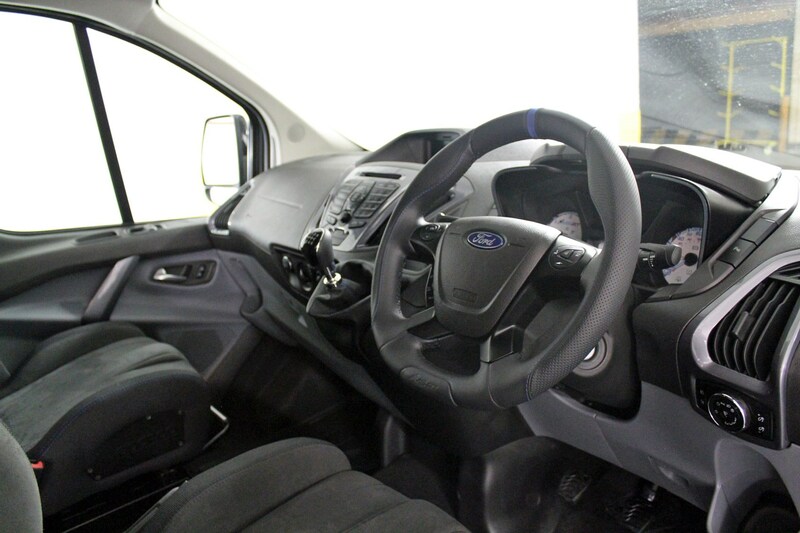 The quality of the trimming is as outstanding as we’ve come to expect from Van-Sport, but the overall look and feel of this interior fully underlines that you’re travelling in something that’s even further beyond the norm. 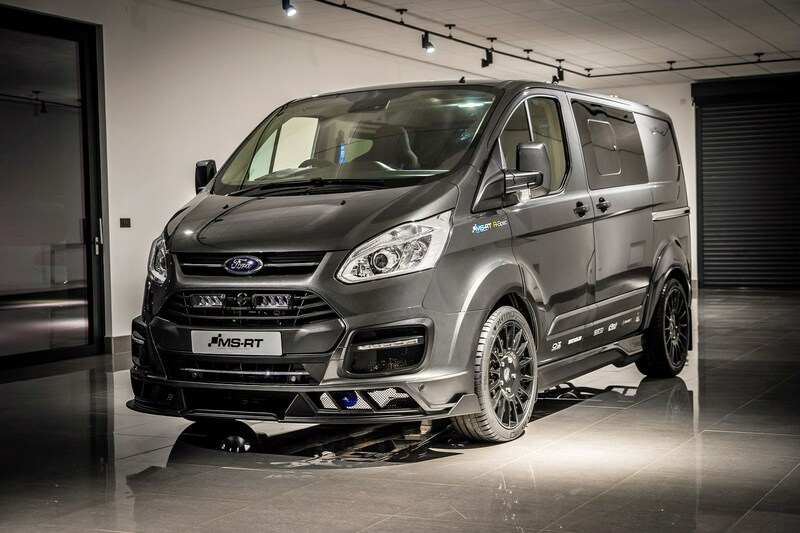 So what’s the Transit Custom MS-RT R-Spec like to drive? It’s a hoot – from the moment you turn the key. 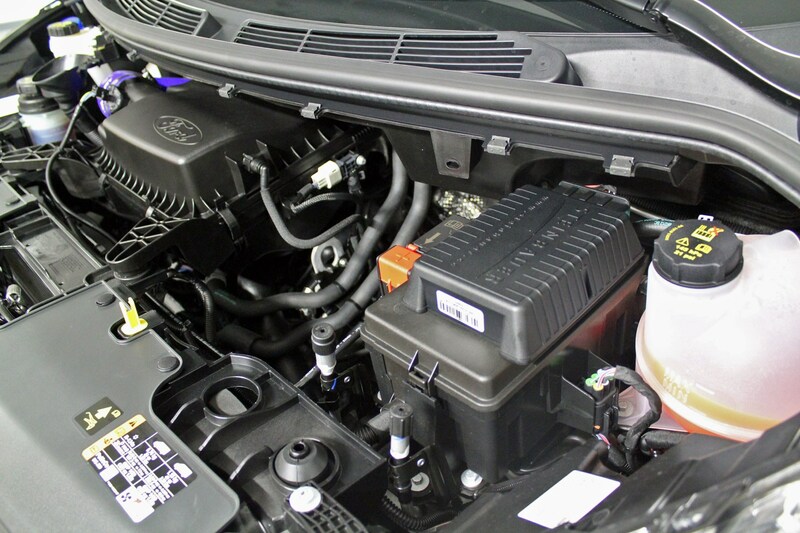 Not least because the so-called exhaust box modification is actually a speaker system mounted under the back of the van and wired into the throttle position sensor. This is the same technology that cars like the BMW i8 hybrid use to sound much sportier than their engines would otherwise allow. 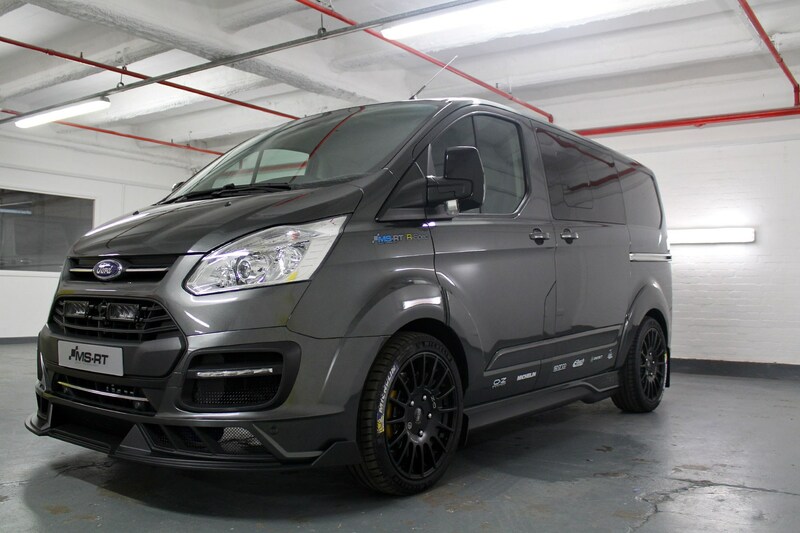 In the R-Spec’s case, you end up with a Transit van that makes a noise so authentically like a Maserati V8 that we nearly fell over laughing. It is only an illusion – walk towards the front and the diesel engine makes its presence clear – but it is certainly the attention grabber. And because it’s all controlled by a smartphone app, buyers will be able to choose different engine sounds, alter the volume level at will and even switch the whole thing off when a stealthier approach is required. Van-Sport knows this is a bit of a gimmick – but the off switch gives its inclusion a sense of humour, and it’s just another way the R-Spec stands out against the rest of the MS-RT range. 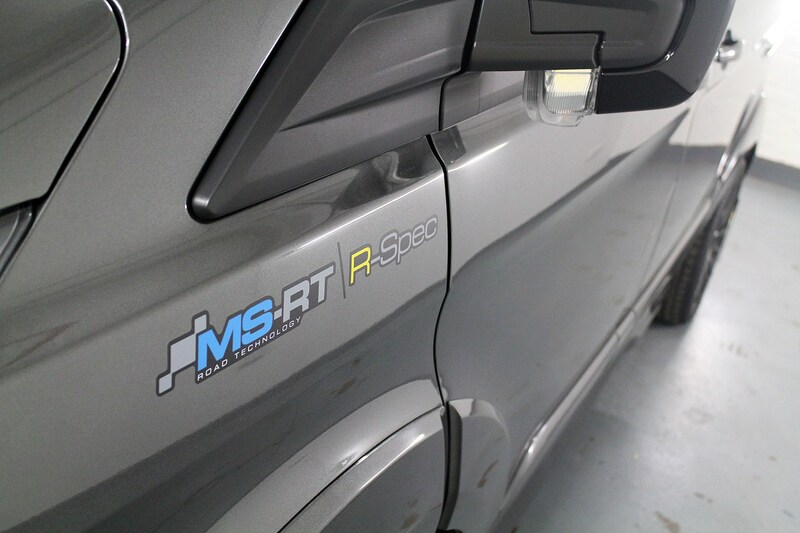 Is the MS-RT R-Spec really like a Transit Custom GTI? Let’s be honest: a 2.0-tonne commercial vehicle with a seating position that’s practically in line with the roof of most cars is never going to drive quite like a hot hatch. However, what Van-Sport and Reiger have achieved given these constraints deserves a round of applause. Though we have only driven it with the optional Reiger rear shock absorbers as well as the Reiger rear springs, the resulting difference is so pronounced it would be a shame not to go for the works if you’re a buyer. Gone is the back end bounce suffered by standard Customs. But more significantly, the new set-up feels instantly tighter and more controlled at the rear in the turns, even compared to previous MS-RT models with the Eibach rear springs. Add the big brakes, which have immediacy and bite without any of the grabbiness common with aftermarket solutions, and you can pedal this Transit in what would otherwise be a highly undignified manner. In the context of the R-Spec, though, it really works. 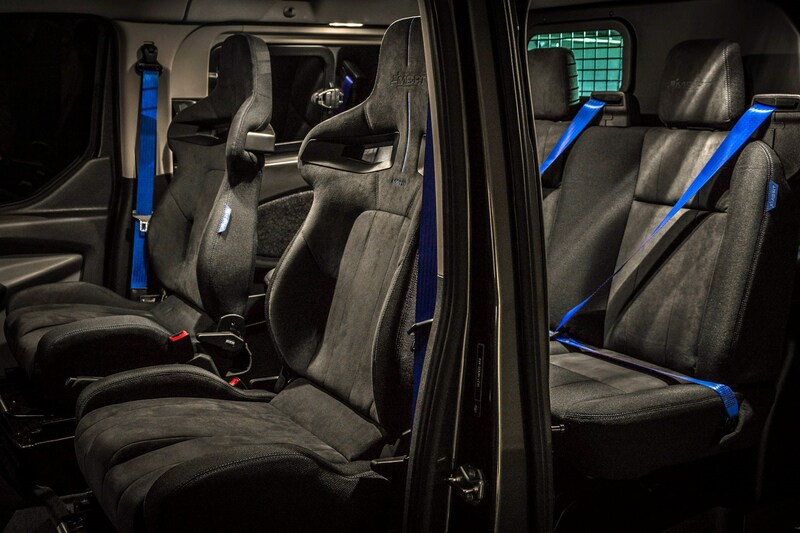 Those bucket seats keep you nicely in place – and comfortable – and for all that the new suspension is lower and tauter, it manages to avoid the harsh, occasionally crashy ride of Ford’s own Sport models. And this, remember, is on 20-inch wheels. 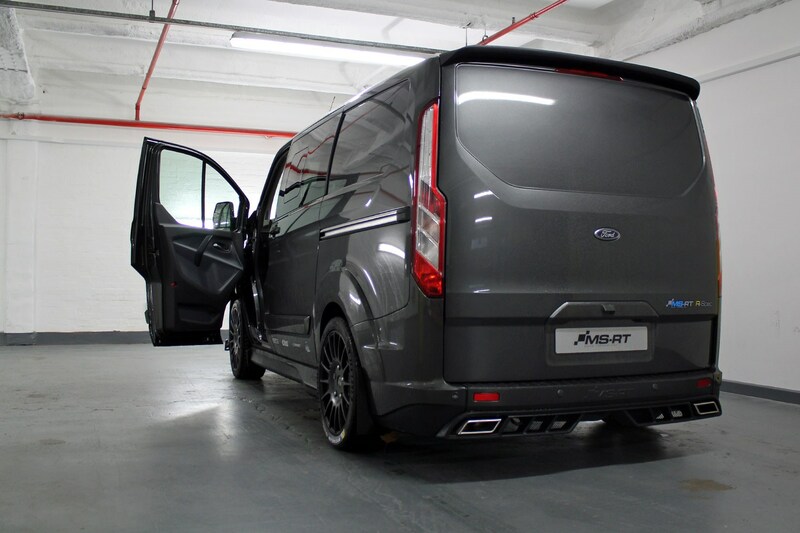 The Reiger suspension is fully load rated as well, so the only loss to this Transit Custom DCiV’s 1,100kg payload rating comes from the additional heft of the R-Spec’s extra standard equipment and trimmings. How’s the Transit Custom feel with 208hp? Good, but if it came to choosing between the cost of this enhancement and the cost of the optional suspension – both of which are still TBC at the time of writing – we’d definitely go for the latter. We’ll explain. 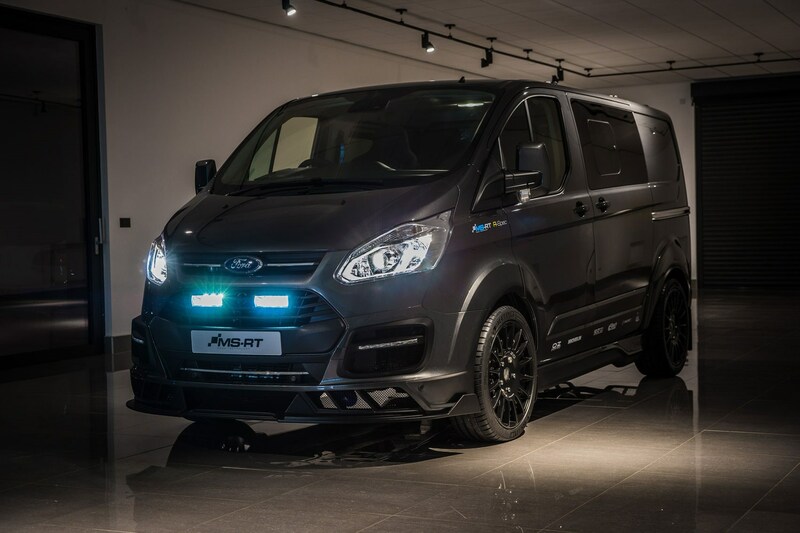 To take the Transit Custom’s 2.0-litre turbodiesel from 170hp and 405Nm to 208hp and 486Nm, Van-Sport is using a Steinbauer powerbox. This is a piggy-back device, rather than a remap of the factory ECU, but you should be aware that it will still invalidate the Ford warranty. And while it out-guns the most powerful 204hp and 450Nm 2.0-litre TDI available in the VW Transporter on paper – which is probably important to some people – to us it felt slightly peaky compared to the broad boosty swell you get from the Volkswagen. So much so that you have to be quick with the manual gearbox to keep up with it. Fun when you’re in the mood, but perhaps best exploited with the automatic transmission – a £1,200 option on the R-Spec, as it is with other Transit Customs. 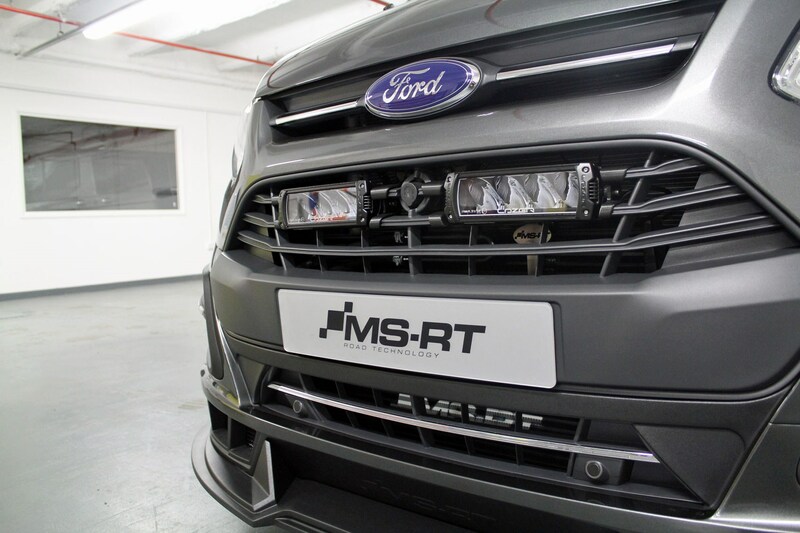 This is, unquestionably, the best Transit Custom MS-RT yet. That’s probably to be expected, given the price, but it’s such a rounded package – from a company that’s starting to come of age. 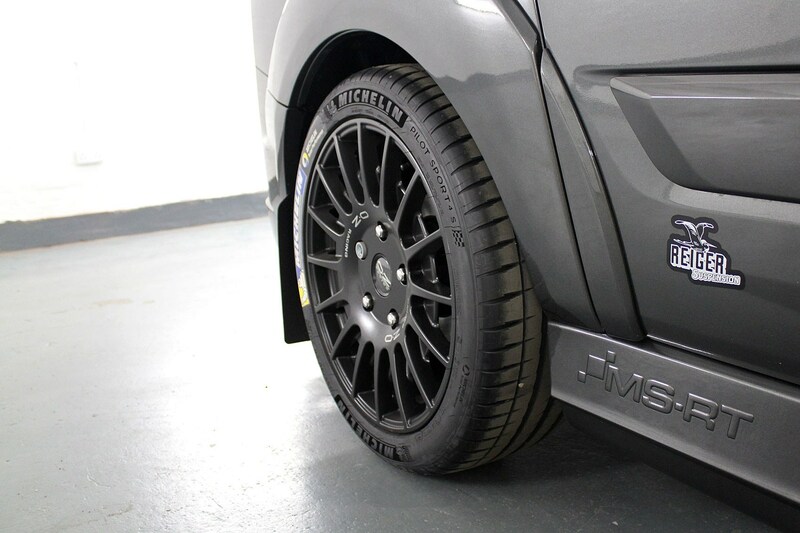 This impression is echoed by the R-Spec's initial buyers, many of whom are returning Van-Sport customers, upgrading from their early-build M-Sport Customs. The lack of lairy contrast graphics on the outside lends a menace to the bodywork modifications that’s sometimes otherwise lost, the interior manages to be both eye-catching and mature, while the exhaust box adds innovation and drama without the inconvenience of a permanent headache. But it’s the way the R-Spec drives that really grabs us. While we might pass on the powerbox, those brakes combined with that rear suspension finally gives the chassis the sharpness those MS-RT looks deserve.